A Workplace Safety Audit conducted by All About Safety will give you a clear, unbiased and totally confidential snap-shot of your level of compliance to safety laws whilst providing you with a straight forward plan. What does a Safety Workplace Audit involve? Our Health and Safety Consultants will identify the risks in your workplace, help you prioritise and recommend measures to be put in place to minimise your organisation’s risk exposure. A Workplace safety audit can cover a wide range of assessments, all designed to identify key areas of strength as well as areas that may need attention. 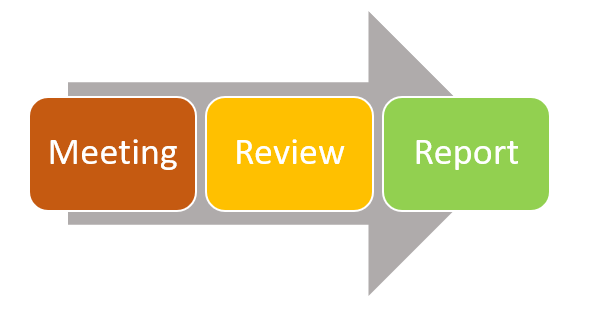 The Safety Audit process may involve a review of the workplace, equipment, processes and controls. We may also review existing documentation, management philosophy and speak to workers to determine the degree of compliance and safety performance. If a business allows an employee to work from home, it must take steps to ensure that the home work environment is safe. This simple, but effective audit will report on the level of safety provided in a specific environment.